Hamilton ON singer-songwriter Jamie Shea has just released his first album “Come Down To The Water”. Well known on the Hamilton music scene as a band guitarist playing rock, pop, blues and jazz, Jamie’s solo debut is long overdue. 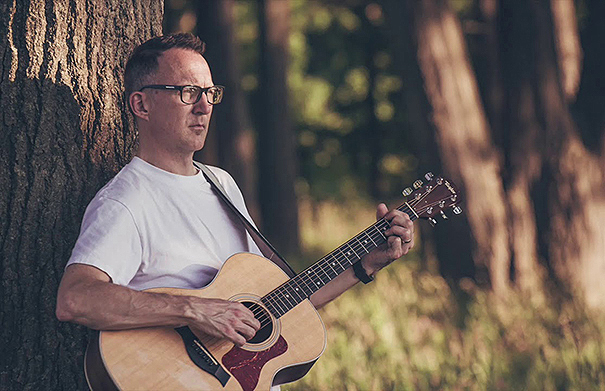 Come Down To The Water features 11 well-crafted songs about personal experiences, love and loss – and the triumph of the human spirit, that really draw you in. Produced by Michael Birthelmer at Pine Street Studio in Hamilton with some fine musical support, the new album has a really nice feel to it. We caught up with Jamie at home in Hamilton to chat about the solo project. For more information about the music of Jamie Shea, visit jamiesheamusic.com. Music: Jamie Shea “Think Again”, “Mercy Of The Wind” and “Come Down To The Water” from “Come Down To The Water” (2018, Self) CDN.